The Texas Legislature's list of things to do in 2019 is already piling up, and it was an expensive set of chores before anyone ever heard of Hurricane Harvey. Legislative sessions are almost always about the money — how much is available, and who is going to get it. The next session of the Texas Legislature will have the usual suspects in line —school finance, border security, pensions, etc. — but a new entry will be at the front of the line. This year’s regular and special legislative sessions were marked by financial wrangling, and by some analysts’ reckoning, lawmakers dug their successors a deep hole. 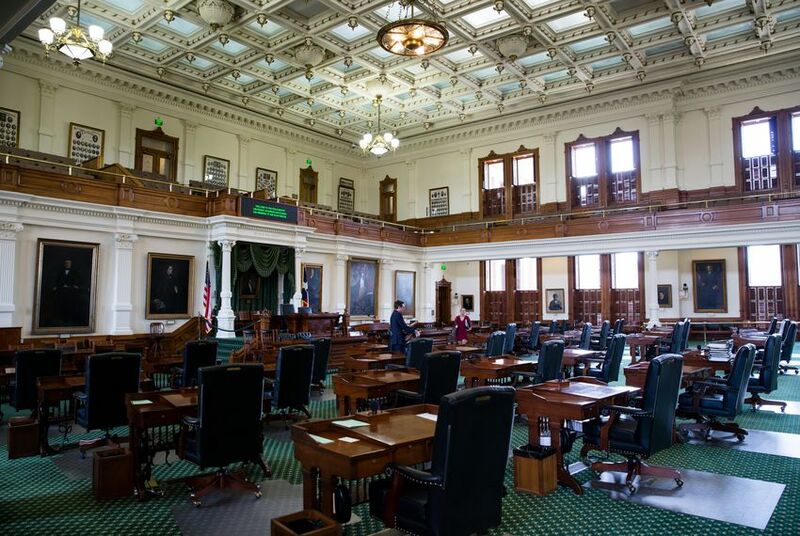 The Texas Taxpayers and Research Association recently estimated that the starting point for the next budget — the one lawmakers will write in 2019 — is a negative $7.9 billion. And that was before Harvey. On the plus side, the state’s direct storm costs won’t be huge, if the past is a guide. The Center for Public Policy Priorities looked back at other recent storms that caused catastrophic damage. The Legislature’s supplemental appropriation for Hurricane Ike, for instance, was $312 million. The federal tab for that 2009 storm was $35 billion. So it’s possible Harvey won’t be the gnarliest piece of budget math when Texas lawmakers get back to Austin in January 2019. But it will probably be the easiest-to-grasp of a set of big-dollar demands. Gov. Greg Abbott and Texas A&M Chancellor John Sharp, the governor’s choice to oversee the state end of the Harvey recovery, have both said the state will put up millions of dollars from the current two-year budget to help with the cleanup and rebuilding from the storm. It’s a cash-flow thing; spend money set aside for future use by state government and then cover those costs in the next session with money from the Rainy Day Fund, federal reimbursements and other sources. Accountants are used to that kind of stuff. But the state already short-sheeted the budget they’re now planning to borrow from. Budget-writers put about $2 billion less than they know they’ll need in the 2018-19 budget for Medicaid. They also have to make up for a deferral of sales taxes — proposed by the Legislature and approved by voters — of $3.6 billion for roads and highways. And that’s before the supplicants with the regular list of expensive ideas line up at the Capitol. The Legislature has been shorting public education for years, spending less per student on schools than it did a decade ago. That’s been a good deal for budget-writers, at least in the short term, because the money the state didn’t spend on schools was raised from local school property taxpayers. Those taxpayers aren’t likely to stop squawking about recurring property tax increases, leaving lawmakers in a familiar fix in 2019 when it comes to school finance: They can lower overall spending on education, raise local property taxes, spend more state money, or some combination of the three. Nobody said the job was going to be easy. As it stands, the state’s share of public education is around 38 percent — down from 45 percent the last time lawmakers made serious changes just over a decade ago. The state government would have to spend roughly $3.3 billion more every year to bring its share in line with what local districts pay. On the other hand, that would mean a $3.3 billion annual cut in school property taxes. But there are plenty of other things in that line, and everyone has different priorities. Voters themselves made that expensive decision on transportation. In 2015, a year when the state budget outlook was much rosier than now, the Legislature decided to spend $400 million on border security every year — a decision they stuck with, more or less, in the current, harder-to-write budget. The state’s massive pension systems are in much better shape than their troubled counterparts in other states, but they still require expensive attention. Put the Employees Retirement System and the Teachers’ Retirement System in the 2019 money line. Don’t forget the Medicaid money and the persistently rising costs of the state’s health and human services network. Higher education has been pinched hard, too. Put them in line. The numbers will firm up over the next year; at this time 12 months from now, lawmakers will be working on the next budget — a two-year plan for 2020-21. Harvey will be at the front of the queue. Disclosure: The Center for Public Policy Priorities, the Texas Taxpayers and Research Association and the Texas A&M University System have been financial supporters of The Texas Tribune. A complete list of Tribune donors and sponsors is available here.